41 years old David Furner is a former professional rugby player and the present head coach with the Canberra Raiders team in the National Rugby League competition played in Australia. He was vastly experienced as a player with his career spanning over 300 games at the first grade level. He has been a part of 3 teams in the National Rugby League as a player. His former teams as a player were Canberra Raiders, Wigan Warriors and the Leeds Rhinos. 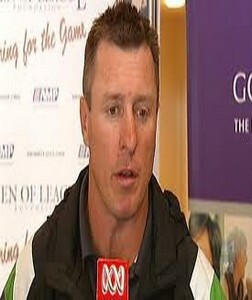 Born on 6th February 1971, he has been with the Canberra Raiders team as a coach since the 2009 season. Raiders team has played 80 games under Furner, 32 out of which have resulted into wins. The winning percentage of his team under his leadership is a lowly 40 percent. This entry was posted in NRL and tagged Canberra Raiders, David Furner. Bookmark the permalink.